Free download the best WLMP to MP4 converter on Windows and Mac below. 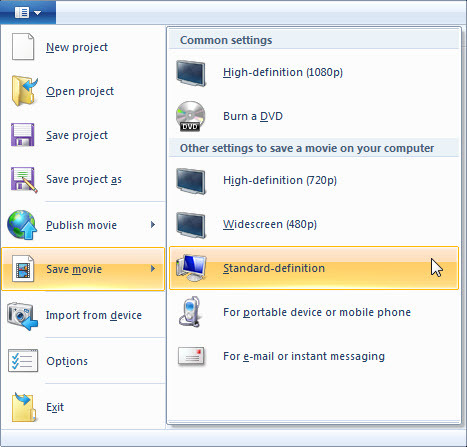 A WLMP movie project file is created by Windows Live Movie Maker. It isn't a valid video file so you cannot use regular media players such as VLC, iPod, iPad, iPhone or QuickTime to play the clips. For this reason, perhaps you want to convert WLMP to MP4 and other common formats like MOV, WMV, FLV, AVI, etc. so you can play WLMP files with any popular media players and even portable devices. Continue reading if you want to know how to convert WLMP file to MP4 to share and play anywhere. To convert Windows Live Movie Maker WLMP video files to MP4, you must get a video converter tool like Aimersoft Video Converter Ultimate. 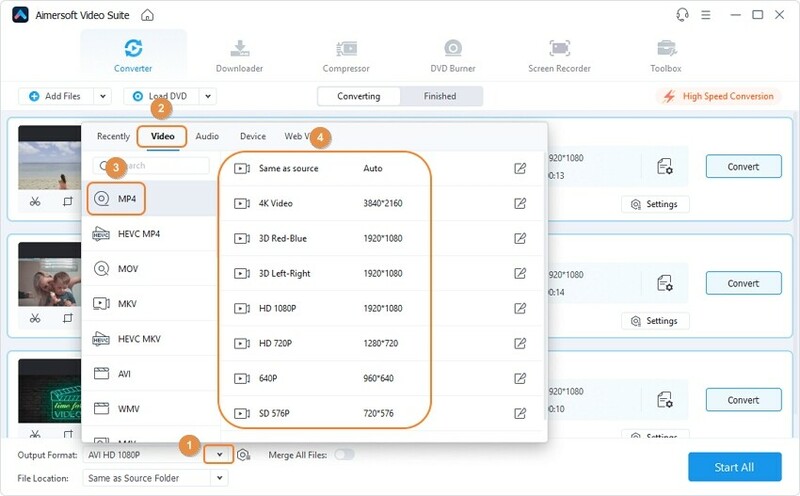 Aside from converting WLMP to MP4, Aimersoft Video Converter Ultimate can also facilitate the conversion of AVI, FLV, MOV, VOB, MKV and other files. In fact, this video converter is extremely valuable because it's designed to perform many functions in the digital media world. Now download it and follow the steps below to convert your WLMP files to MP4. Convert videos in over 500 formats at 90X faster speed losslessly. You can Convert WLMP to MP4, MKV, MOV, VOB, WMV, FLV or other formats. Edit video like cutting, cropping, rotating video, and adding subtitle, watermark, etc. Download online videos from YouTube, Facebook, Vimeo, etc. Record video, make GIF image, burn DVD/CD. Get started by saving your WLMP files as videos. Launch Windows Live Movie Maker to open your WLMP file. Next, save the WLMP project file in WMV video format. When you save the WLMP files as WMV video files, the WLMP to MP4 converter program can transform your exported clips. Once this is done, you are able to convert WLMP to just about any format. 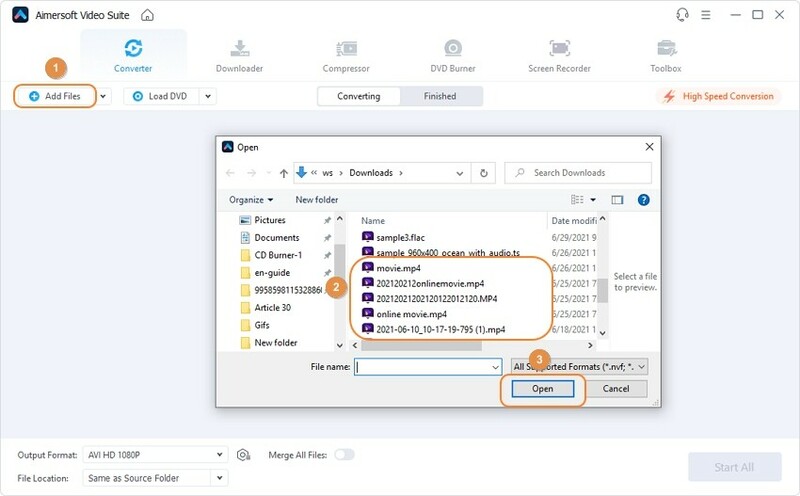 After downloading and launching the Aimersoft converter, you can add all the saved files to it. Click add files or drag them directly into the program. The next step is to click the output format from the drop down menu. Go to Convert all files to > Video > MP4 as your output video format. Lastly, you need to click the Convert All button to start the quick and easy conversion process. When the WLMP to MP4 conversion ends, open the folder to enjoy your new videos. There you have it, some simple steps that you can follow to transform your WLMP project files! In this section, we will be touching upon 3 good online converters that are capable of converting WLMP to MP online. As the name implies, OnlineConvert.com is one of the good options that is responsible for converting any kind of file format or type online. The types of files, Onlineconvert.com supports includes audio, documents, eBooks, images, videos etc. It shares compatibility with AAC, FLAC, WAV, WLMP, WMA, and MKV etc file types. Hence converting WLMP to MP4 online is relatively a simple affair. Simply, one has to paste the URL and fetch output in a couple of seconds. Apart from that, it offers users with a good streak of advanced options such as providing the settings of changing size of inputs, resize them effectively. Ensures to convert videos without leaving any sign of watermark. Can take the input from local folder or cloud. Has limited scope of file’s size for the free users. Can import videos up to 100 MB. No provision of converting multiple files: Let’s assume that you wish to convert 10 files together, with some online converters you may have to take one file at a time. 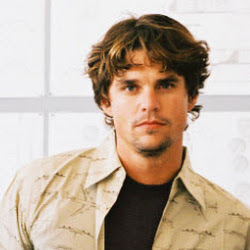 As, most of them do not support batch conversion easily. Need of converting stable internet connection: There is no such offline medium of converting the WLMP to MP4. In case of online converters, it is crucial to have a good base of internet connection for speedy outputs rate or else you’re at the mercy of no one. Problems in processing large files: Most of the online converters cannot have the intake of good GBs of file. There is a kind of restriction in taking big files. Online Video Converter or OVC is a safe bet for converting your favorite WLMP file to MP4 online. OVC allows users to convert any kind of file format and is compatible with MPG, MP4, MOV, M4V, WEBM files etc. Users just need to import the file type, select the desired format and buzz! It is this convenient and fast enough to work with. User friendly interface and can convert a wide range of file formats. Reportedly, users complains of services interrupted by advertisements. Apowersoft Online Video Converter is one of the considerable converters available in the market. It is packed with a good set of handy tools that are a great help for users who are looking to convert the WLMP file type to MP4 online for free. This program renders users with high professional level quality of 4K, 3D, HD, AVCHD respectively. In addition to this, you can customize file according to your way by making use of its built in editing tool that is useful for trimming, cropping, rotating file as well as making due adjustments in colors, speed and adding captions, watermarks conveniently over the file. Can easily convert any kind of video to a good 4K file size. Offers a provision for converting as well as editing the video in a good speed. The need of downloading or installing online launcher plugin. Video detector does not work perfectly.